In any company, the marketing and operations divisions play crucial roles in the successes and failures of the overall business. Their duties are unique and provide invaluable assets, however sometimes the communication between the two departments creates tension within the office. In order to thrive, these two divisions should be able to effectively operate in harmony. Operations can't exist without marketing to attract sales and marketing becomes fruitless without a product to market. In the print industry this harmony is crucial. Both new and repeat clients of print distributors expect consistent quality. Marketers are responsible for relaying this level of quality to clients without overselling the realistic capacity of operations while operations employees are tasked with producing to this level. It may seem silly to ask what a marketing department does, but marketing has a handful of responsibilities that are often hidden under the blanket term of "generating sales." According to Booz & Company in a guest post for Strategy + Business, marketing is charged with concentrating on revenue while simultaneously hunting for a variety of well-stocked and quickly producible products. Underlying these goals is a deep understanding of what the intended market wants. For print industry marketers, this involves knowing what types of forms, checks or pads companies need, what the frequency of their demand is, and how best to approach selling new print products to them. While your sales department is generally charged with the actual execution of sales, marketing is responsible for enticing these customers in the first place. Contributing writer for the Houston Chronicle Katie Jensen created a list of four major components of any good marketing strategy: product, price, placement and promotion. The overall strategies set forth by marketing teams intend to hit each of these pillars but the execution of these points relies heavily on the operations division. Operations may be a less well-known department to the outside world but operations employees are responsible for the production of a company's products. According to Lincoln Martin, operations sections are accountable for the way in which a company can deliver upon the expectations of a client. Quite literally, operations departments are responsible for ensuring a business operates in the way it intends. All the steps between product production and packaging are in the hands of the operations division. Jensen reported that operations' main worries concern cost reduction and more efficient means of production throughout a company's supply chain. Operations departments are crucial in the print industry. While the quality of product is always important, increased access to the newest technologies has put most print distributors' product quality on an equal playing field. Attention to cost details and techniques to improve efficiency – even in small ways – are what can sink or save a print company in a competitive field, and these responsibilities fall on operations. The marketing and operations divisions of a company have areas where they see eye to eye and some where they are looking in completely different directions. When it comes to their overall responsibilities the differences are clear: Marketing comes up with a strategy to promote sales, operations makes sure there is actually something worth selling. Jensen cited long-term and short-term visions as the main differences between the two departments. Marketing as a whole tends to follow a long-term plan, a mapped-out strategy that requires time and customer acquisition to implement. Operations generally implements a shorter-term strategy: This is how many forms we can produce in a day, this is where we can cut costs by week and this is how to improve this certain function. Expectations differ in each department as well; Lincoln Martin noted that while marketing divisions are rewarded for a growth in sales, operations teams are rewarded for company cost reductions. This presents the core divergence between the two, a difference in objectives. While marketing is looking to increase sales – meaning more product, cheaper to the customer, as fast as possible – operations is looking to cut company spending – less product, cheaper to the company, at a reasonable pace. However, the key to a successful union of the two divisions is recognizing that their one similarity is more important than their differences. Neither department can exist without the other. Marketing is key to generating sales and operations is the key to producing product; without sales there is no need for product, without product there is no need for sales. If your company has had problems with the relationship between marketing and operations in the past, finding a solution is crucial. Miscommunication between the two departments can result in inconsistencies in production time and product quality. Company leaders must look to each department and help them realize their co-dependence. Find a way to implement a better line of communication between the two departments and facilitate when necessary. These two divisions of your business are crucial for the success of your print company and as such it is vital that you ensure they are on the same page as often as possible. When it comes to compromise, Booz & Company suggested seeking a balance in the competing priorities of marketing and operations. While some service options may be more expensive, a leader must weigh the value to their customer base. Will this increase in spending generate more business in the long run? If yes, think like the marketing division and spend the extra cash for the sake of sales generation. 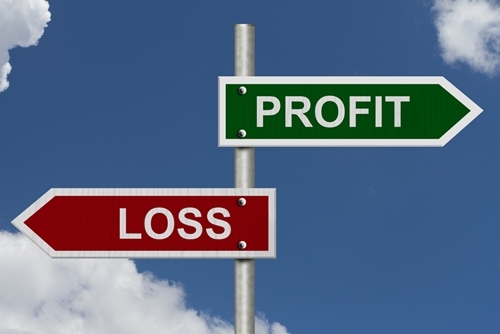 If not so much, steer towards cost reduction and side with the operations divisions' leading objective.